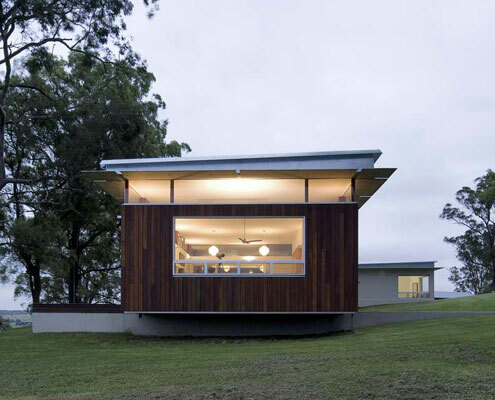 Cranky Corner House by Bourne Blue Architecture Cranky Corner House: A Comfortable and Sustainable Place to Retire Cranky Corner doesn't sound like the ideal retirement home, but this farmhouse in the Hunter Valley is a comfortable and sustainable place to retire. Beach House by Bourne Blue Architecture Introspective Modern Beach House With No Access to Sea Views You can't see the sea from this modern beach house. Undeterred by the lack of view, it faces a sheltered internal courtyard instead. 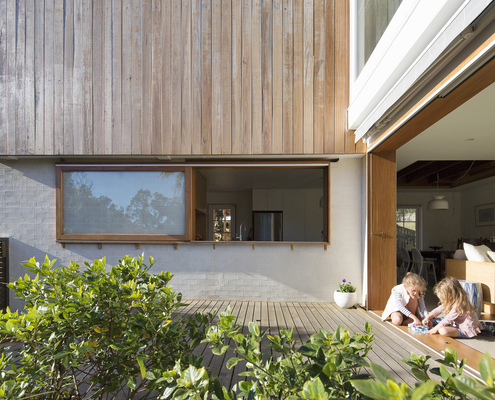 Mona Vale House by CHROFI Architects Mona Vale House is a Test Bed for Sustainable Ideas Thanks to an owner with an interest in sustainable building, Mona Vale House incorporates passive and active sustainability features. 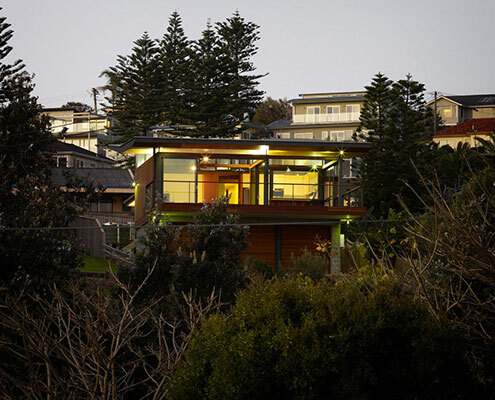 Seal Rocks House by Bourne Blue Architecture Seal Rocks House is About the Simple Pleasures of Surf, Sea and Trees Seal Rocks House takes the qualities of a family home and distills them down to the basics to suit leisure and the serene seaside site. 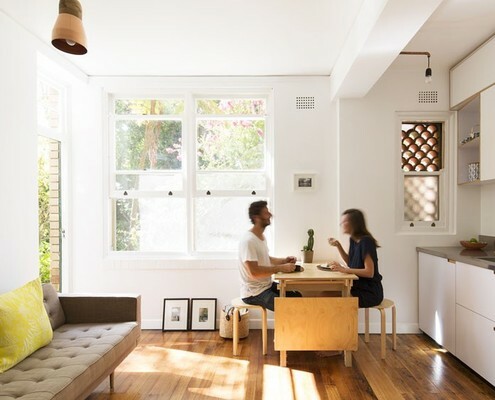 The Hacienda by Adriano Pupilli Architects The Hacienda: Big Ideas for a Small Art Deco Apartment A clever modern makeover of a young professional couples' apartment provides plenty of space for work, rest and play. 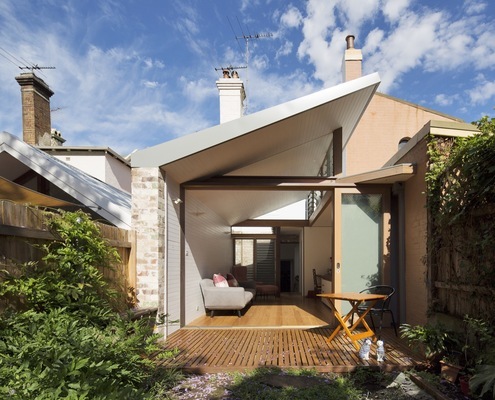 Petersham Courtyard House by Adriano Pupilli Architects Back-of-House Renovation Makes This Courtyard House an All-Seasons Home Alterations to the rear of this house to draw in green vistas, sunlight and cooling breezes making the most of the weather year-round. 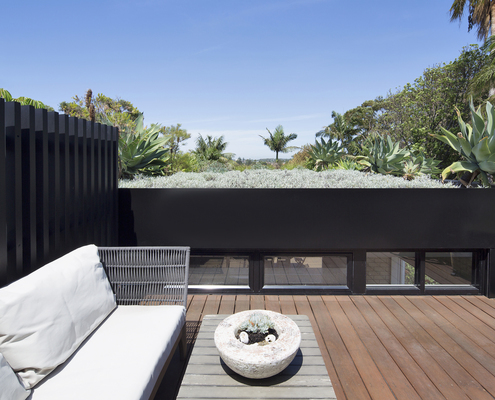 D+K House by buck&simple These Owners Take Their Love of Gardening to New Heights A deep soil green roof improves this home's environmental credentials, looks great and satisfies the owners' love of gardening. 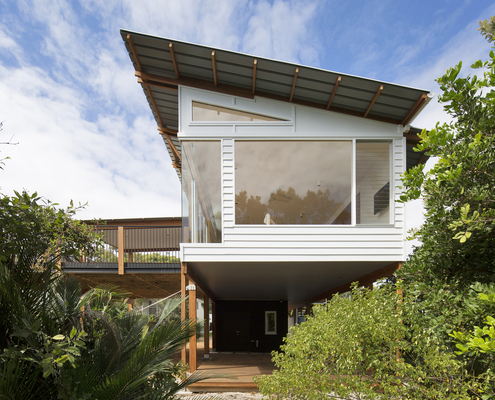 Casa Crisp by buck&simple How Can You Fit a Family of Six in 140 Square Metres? 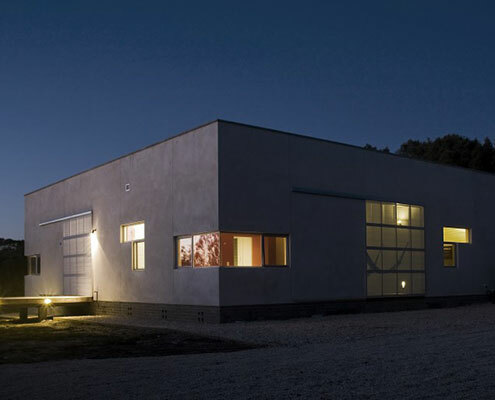 This compact family home uses the power of the sun for heating and cooling, keeping a family of six happy and comfortable. 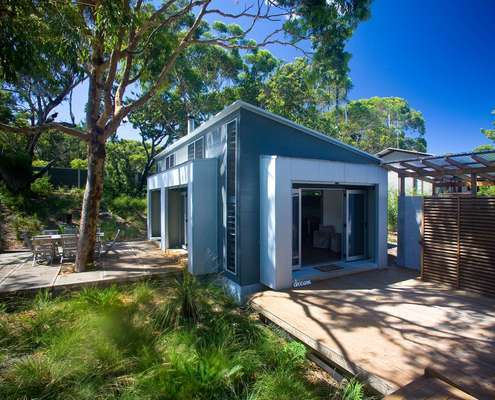 Macmasters Beach House by buck&simple This Modern Beach House Design Celebrates its Spectacular Location A modern beach house design replaces the ageing cottage on a property that has been in the family for over 50 years.